Megan Kruth still doesn’t know what sent her flying over her bike’s handlebars on Aug. 4, 2013. The Ironman triathlete and 17-time All-American collegiate swimmer had done training rides on that stretch of Babcock Boulevard near her McCandless townhouse hundreds of times. But that Sunday morning, she probably hit a bump in the pavement. When her helmet struck the pavement, it split open like a too-ripe watermelon. The impact fractured her skull, ribs and collarbone. By the time her ambulance pulled into Allegheny General Hospital, she was in a coma. Doctors weren’t sure she’d survive the surgery to remove a bone flap from the skull to expose the brain and relieve building pressure. But neurosurgeon Khalid Aziz says that the then-41-year-old had several things working in her favor: the quickness with which the paramedics got her to the hospital, her youth and her extremely good health. 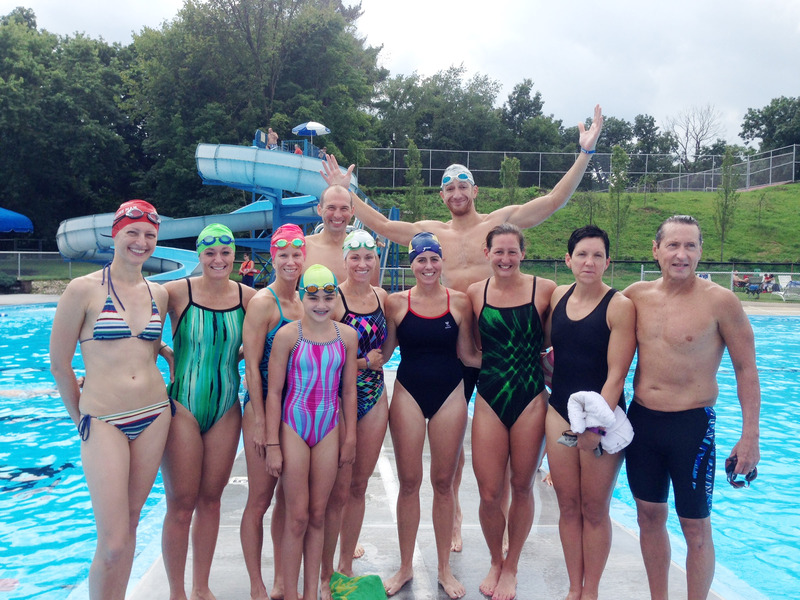 With the support of many doctors and nurses, family and the triathlete community, “Iron Meg” has been able to return to not just swimming, but also competing. On Saturday, she’ll participate in Race for the Conch Eco-Seaswim, a 2.4-mile swim in the Atlantic Ocean at the Turks and Caicos. This would be on the 1,427th day since her accident. The 44-year-old long-time second-grade teacher at Pine-Richland’s Hance Elementary is using it as an opportunity to help others who’ve suffered a traumatic brain injury, as afundraiser for Allegheny Health Network Neuroscience Institute. After her initial surgery, Ms. Kruth wound up needing four more cranial surgeries over the next year, including one to place a customized synthetic implant in her head after the first bone flap became infected. (“But I can go through scanners with no problems!” she quips.) 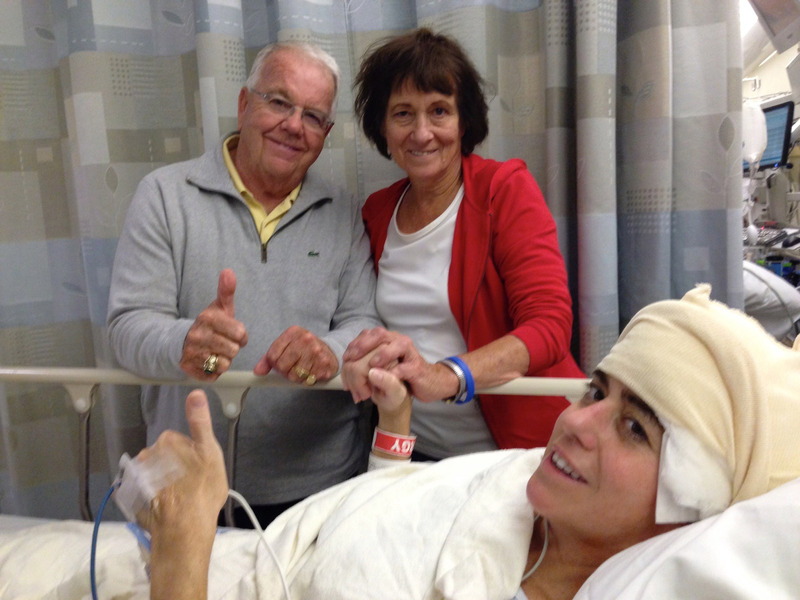 Her broken collarbone, repaired with a titanium plate, required another major operation. While she hated the white protective helmet she wore for months to keep from reinjuring her brain, she slowly got better. After 17 days in the hospital, she spent less than two weeks doing inpatient rehab at UPMC Mercy Hospital’s Center for Brain Injury before going home to live with her parents, George and Mary Lou Kruth of Shaler. By fall she was jogging short distances; by Thanksgiving, her daily routine included spinning on an indoor trainer bike while FaceTiming with her sister Marcia in Florida. Ms. Kruth, though, couldn’t always see that she was making progress. Plagued by short-term memory loss that sometimes left her struggling for words, she often felt frustrated or angry. Multitasking proved impossible. And she didn’t like being dependent. “Doctors told us this will be a journey, not a sprint, and you’ll need lots of patience,” says her father, noting how just one wrong word could set her off into a rage. There also were setbacks during the year she spent recuperating in her parents’ home. One of the scariest was a seizure during a Sunday walk at Hartwood Acres not long after she got out of rehab. Seizures occur in one of every 10 people who have a TBI that required hospitalization, so it wasn’t completely unexpected. But as her sister Erin noted in a post on the CaringBridge website, it was a reminder that healing is a process, “even when you think you’re in the clear.” Ms. Kruth would have three more seizures over the following spring. One big milestone was getting her driver’s license back in September 2014 . That’s also when her plastic surgeon, Michael White, allowed her to start swimming again with friends, albeit very slowly and not for long distances. All the while she was swimming. She now practices five mornings a week before school, with the Cranberry Wave masters swim team at the Rose E. Schneider Family YMCA in Cranberry. It was team member Mary Anne Savage of Cranberry who first planted the idea of the Turks and Caicos race in her head last winter. Ms. Kruth decided it’d be a good vacation for her, too. She was ready. Because Ms. Kruth is such a fast, amazing swimmer, Ms. Savage expects to come in well behind her. Training with her, Ms. Savage says, has been an awesome experience for the entire team. Not only does Ms. Kruth have a ready smile at 5:30 a.m., “but we all can learn from her experiences how to face things head on. 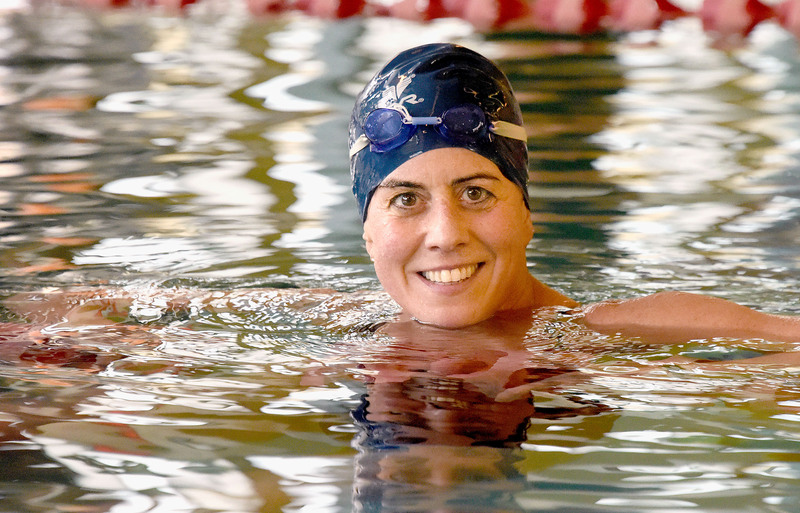 For her part, Ms. Kruth — who in 2015 was featured in acommercial for Allegheny Health Network — says she’s just happy to be back in the water, competing, and to be able to give back to the community that gave her so much during the healing process. Before her accident, summers were always about her. This year, it’s about the fundraising and she’s also volunteering at Mercy in the brain injury unit. She’ll never be the old Meg, says her father. But that’s OK. So many brain injury patients give up. His daughter never lost hope.